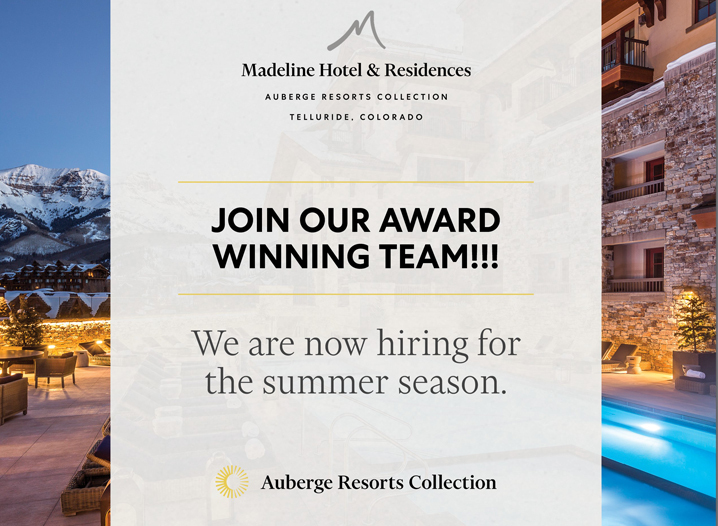 Madeline Hotel & Residences is now hiring for the summer season. Choose a date and come meet us for a job fair! The Madeline offer competitive wages, training, and career development. Benefits packages include medical and dental coverage, vision, flexible spending account, 401k with company match, lifestyle perks, and a great working environment. Also included is access to their Fitness Studio and on-property discounts.